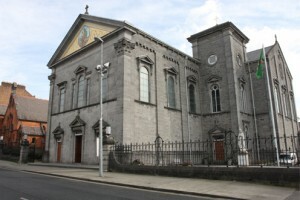 St. Joseph’s Church O’Connell Avenue Limerick has been a landmark building in our city since originally built in 1904. St. Joseph’s is constructed in a neo classical Italian design and has a rich history attached to it. St. Joseph’s is a church that has always been very well attended and thankfully, there has not been any fall off in our congregation. Over the past three years St. Joseph’s has undergone extensive renovation and restoration. This work is now substantially completed. The work has included structural repairs with significant remedial works needed to the roof and the west transept where the structure had seriously perished and was in danger of permanent damage. Externally, there has been extensive work carried out in the garden areas with new paving, railings and of course the new flood lighting which looks wonderful. Internally, the original mosaic tile in the main aisle area and the original woodblock flooring in the sanctuary area have been lovingly restored. 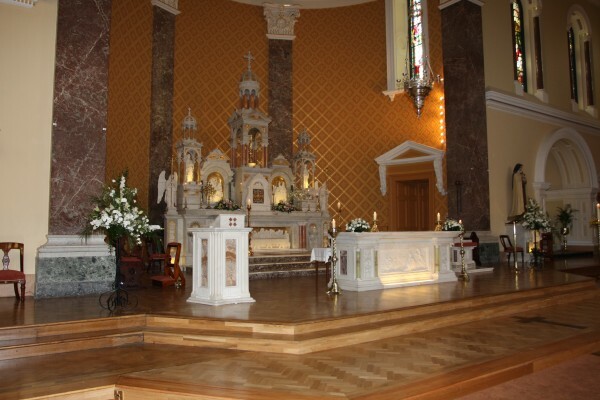 The Bonaventure trust has very generously donated the front altar, chair and ambo from the Franciscan church, Henry Street which sadly closed it’s doors some years ago. 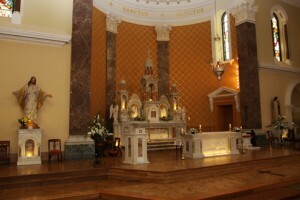 It is wonderful that the altar, chair and ambo have remained in Limerick and there is a lovely sense of continuity about this. St. Joseph’s has been totally re wired, a new heating system has been installed and a new sound system has been put in place. The building has been painted internally with magnificent gold leaf detail applied. 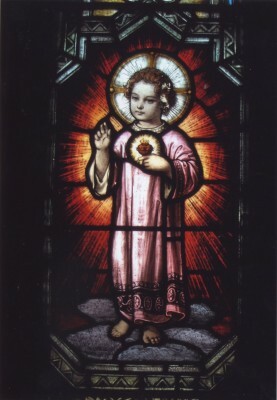 Further, there are a number of holy items in St. Joseph’s dating back to the 1900′s- chalices, patens, ciboria, the beautiful sanctuary light and tabernacle doors. All of these items have been restored and returned to their original beauty. 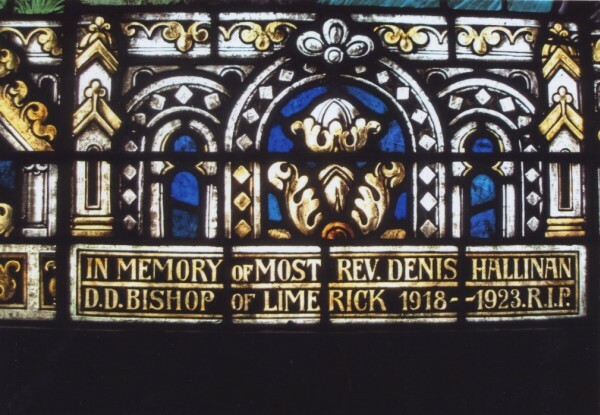 The beautiful stained glass windows including the original Harry Clarke window depicting St. Patrick have been cleaned and repaired. The funding for all of this work has come from many sources- we are running a monthly draw which has been very well supported by our parishioners, by friends of St, Joseph’s and by the many business people in the city who, in very difficult economic times, have been so generous in donating prizes to us. A huge amount of work has gone in to the running of this draw by The Parish Finance Committee, the Restoration Fund Committee, the Diocesan Finance Committee and by the Parish Administrator Fr. Tom Mangan. 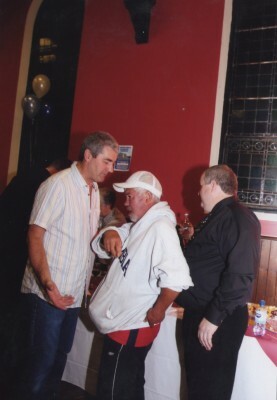 We have run fundraising events – golf classic, bag packing, a Boston tea party and many others. 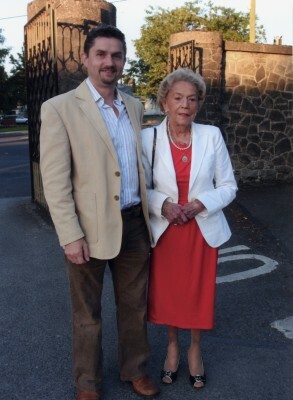 In addition, Limerick City Council has given us grants in 2009 and 2010 for which we are very grateful. Also, a number of individuals and businesses in the city have made generous donations too. We have been availing of the tax rebate system for charities which has been very helpful also in our funding. As with any such project we have incurred considerable Bank borrowings and the Bank of Ireland has been most accommodating to us on this. Going forward we will have this debt for a number of years to come and we will continue to rely on the generosity of our many friends to repay that debt so that our beautiful place of worship will be maintained for the generations to come. Following 11.30 am Mass on Sundays (with a baptism preparation meeting at 12 noon on the preceding Saturday).